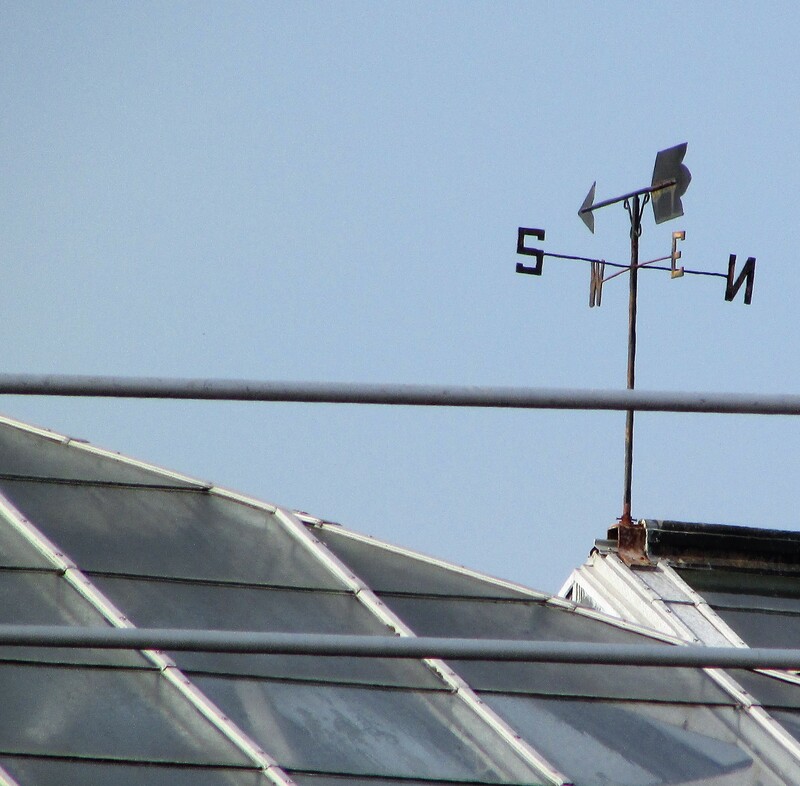 This week’s weather vane is atop the Longwood Gardens Conservatory. 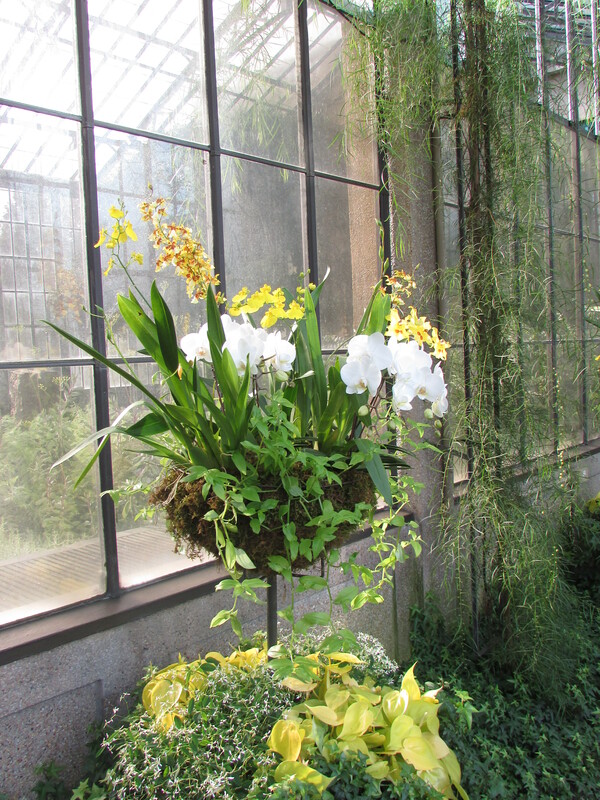 The Orchid Extravanganza featured orchids in a variety of unique settings. 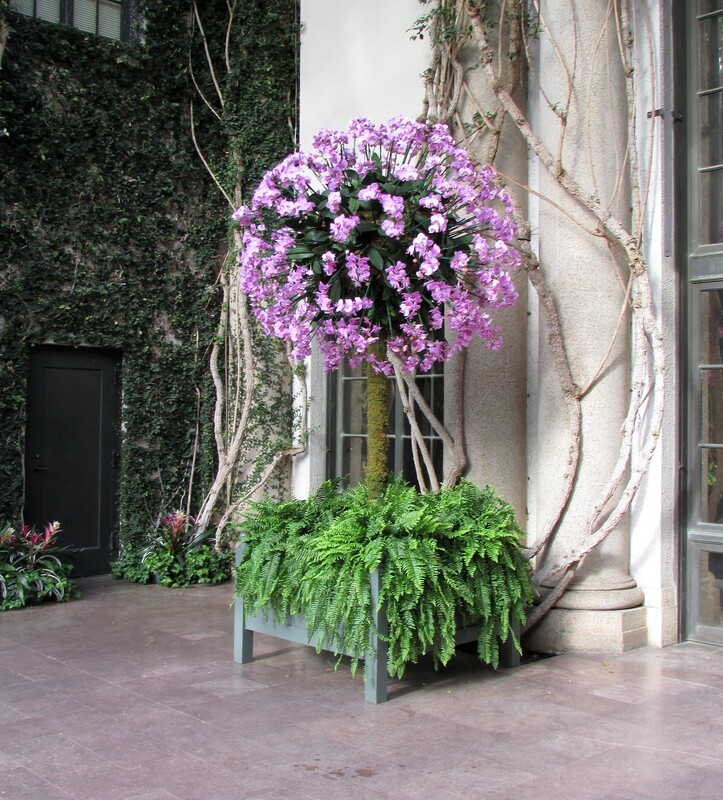 These orchids were in a planter in a long walkway filled with blooming acacia. 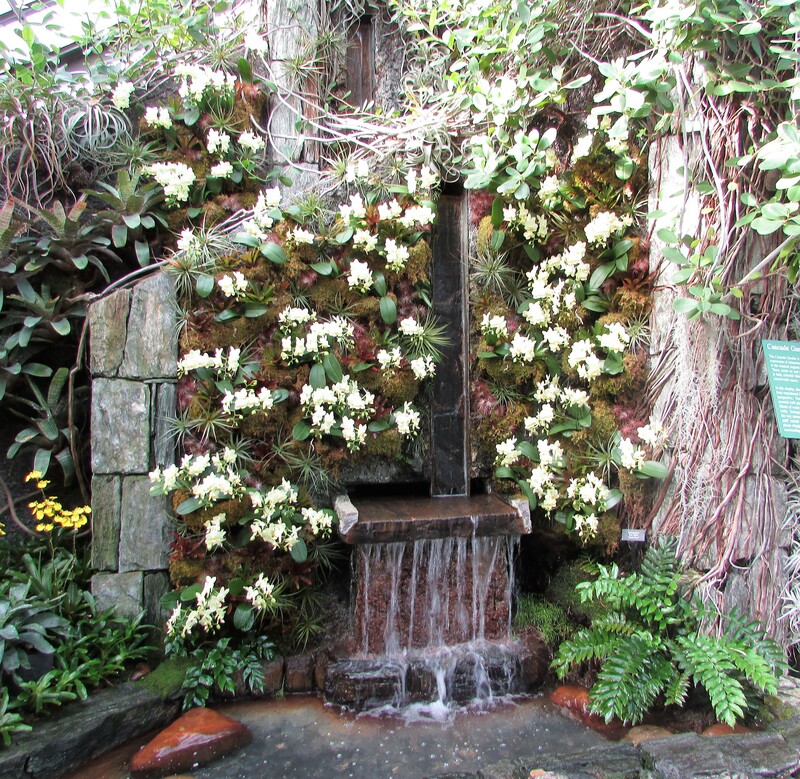 A waterfall complete with orchids. 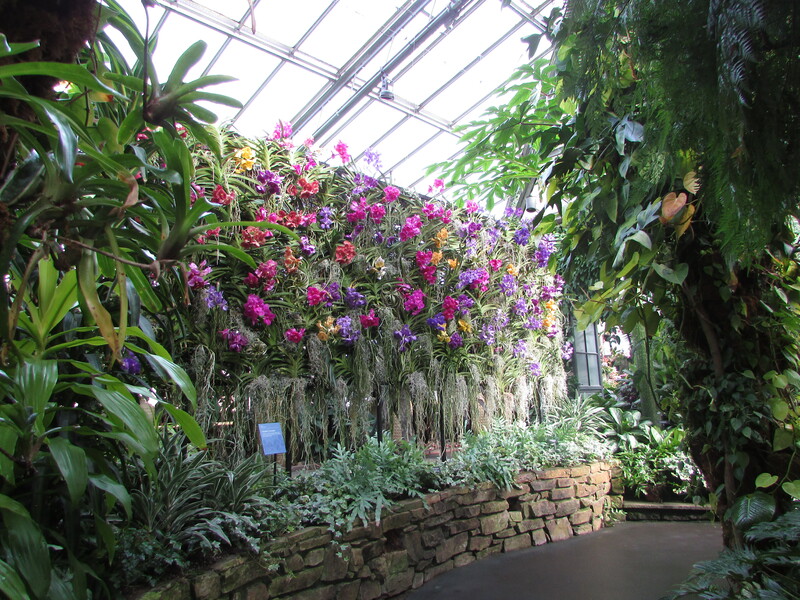 A bright cascade of orchids alongside two walkways, one behind and one in front. This display was really lovely. Thank you to these bloggers who took part in last week’s challenge. 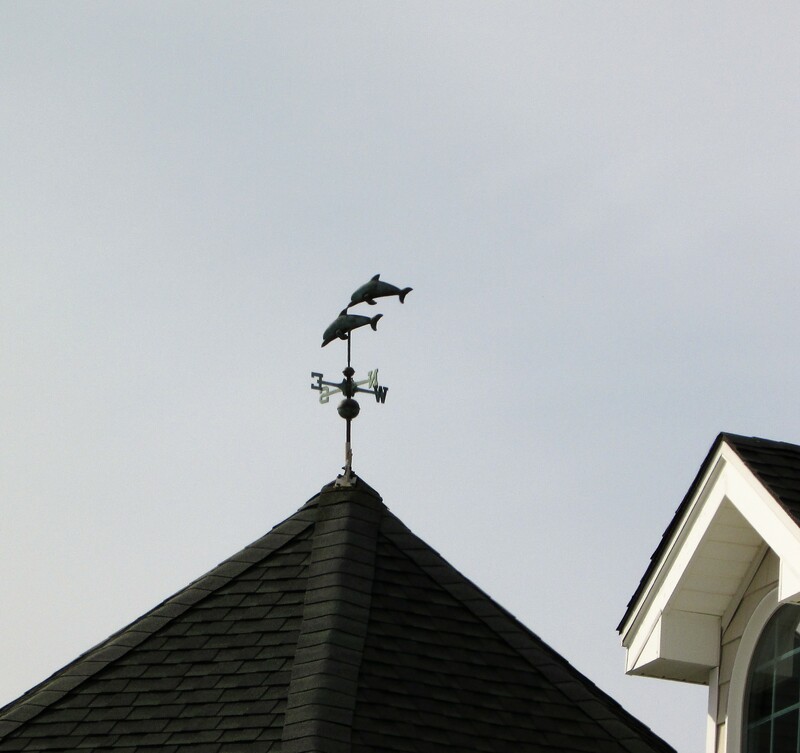 Take a look at their great weather vanes. First we had rain, heavy rain, then we had cold, bitter cold; it hasn’t been a week conducive to driving around looking for new weather vanes. 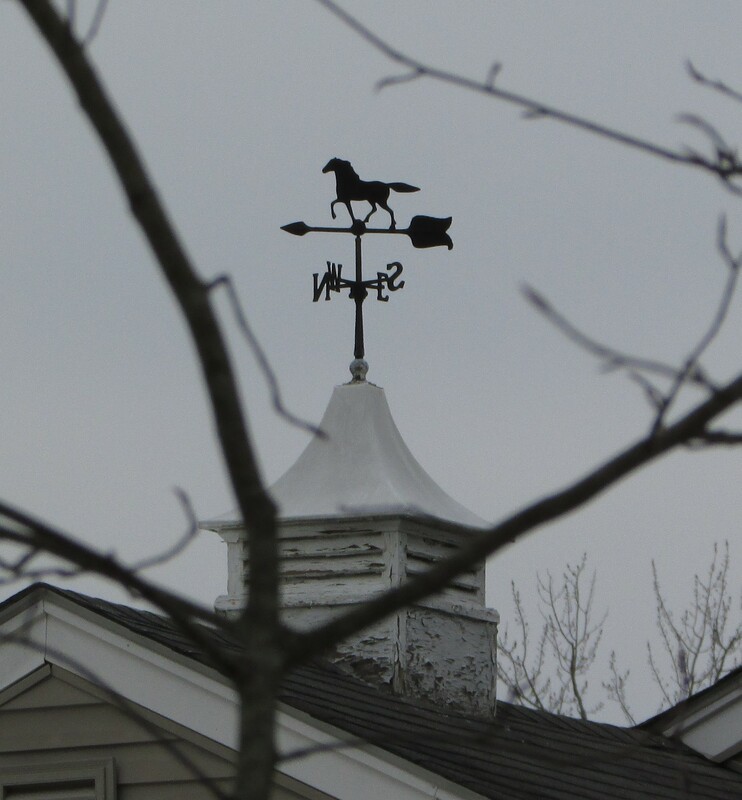 I’m glad to say in all this bad weather I was able to stand in my own backyard and take a photo of a weather vane. My neighbor’s vane is common to our development. Many of the houses have this same vane and I’ve used similar vanes in past challenges. Sometimes exactly what you need is right outside your door. The L. stand for Lyman. He loved the theater and wanted to be an actor. He started writing children’s books in his 40’s. He named Oz after a file cabinet drawer marked O – Z.
Dorothy Gale was named after a niece who died. 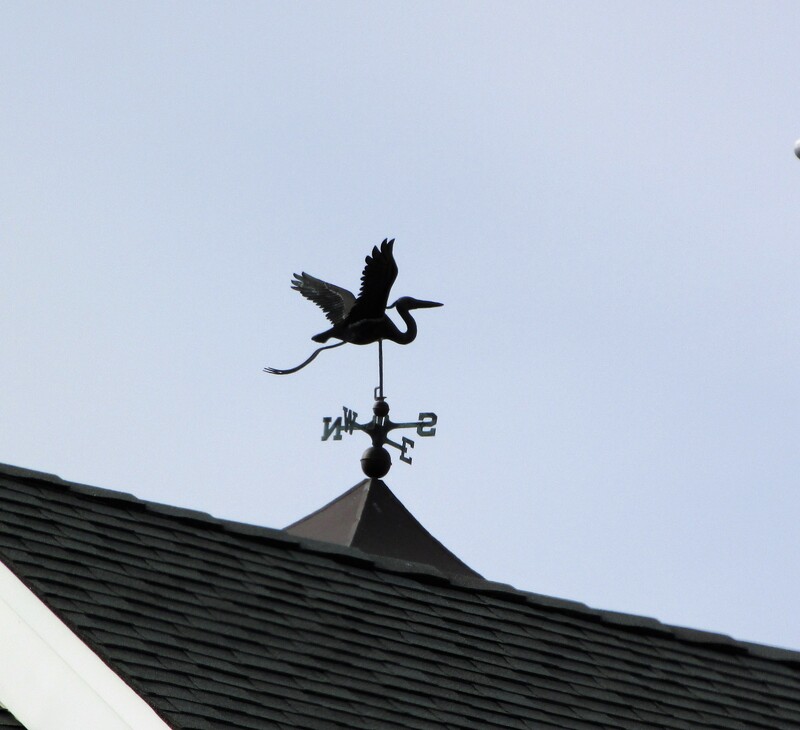 Photo Challenge – Weather Vane Wednesday/How Far Will You Go? How far will you drive for a favorite food or snack? We’ve driven sixty miles, give or take a mile or two, to get our favorite Ocean City Boardwalk pizza at Manco and Manco’s. If you’re ever in the area check out this delicious pizza. Ocean City is a good source to find both weather vanes and lightning rods. I’m wondering if weather vanes double as lightning rods on some of the three-story condos. I’ve found seashore towns to be the best source of many weather vanes in one place. The first vane is a heron, the second two dolphins. I’ve always loved dolphins; I grew up in the era of Flipper on television. I think this vane will be one of my top ten favorites. Antique lightning rods and weather vanes are considered decorative collectibles.